Review: "Remember, don't let your eyes or feelings trick you." This book was quite a ride. Scarlett and her sister live on a small island with their abusive father. 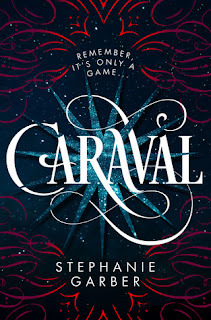 They have always dreamed about attending Caraval, an annual performance where everyone attending is part of the show. 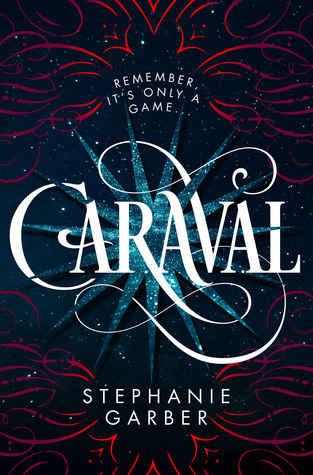 Scarlett has been writing to Legend, the organizer behind Caraval for years with no response. With only a short time before her arranged marriage, an invitation arrives. Scarlett and Tella manage to escape their father and join the game. There was no real world building but I still found this book to be fast paced and fun. There were elements of mystery, magic and a hint of romance. I did not see the end coming and while I was not exactly satisfied with how everything played out, I enjoyed this. I will definitely read the next one in the series.